Petition Circulating To Stop Kanye West! 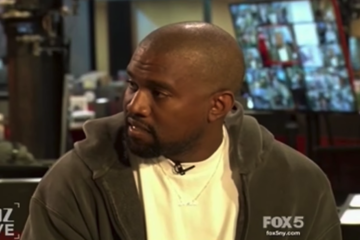 It looks like Kanye West has gotten himself into a pickle, and it all stems from a rumor! An article from The Daily Star stated that Kanye West was seen in the studio recording straight classic covers, some with rap, from the late David Bowie. This admiration has turned into outrage for many Bowie fans. Though Kanye has not officially mentioned anything of a tribute album, an online petition has started to stop him from recording and releasing anything. The petition, has already amassed close to 20,000 signatures! After all of this, we’re assuming David Bowie aren’t the biggest fans of Kanye! What do you think about these rumors? Are you going to sign the petition? Let us know on Facebook!